The first Patriot intelligence network on record was a secret group in Boston known as the "mechanics." The group apparently grew out of the old Sons of Liberty organization that had successfully opposed the hated Stamp Act. The "mechanics," (meaning skilled laborers and artisans) organized resistance to British authority and gathered intelligence. In the words of one of its members, Paul Revere, "in the Fall of 1774 and winter of 1775, I was one of upwards of thirty, chiefly mechanics, who formed ourselves into a Committee for the purpose of watching British soldiers and gaining every intelligence on the movements of the Tories." According to Revere, "We frequently took turns, two and two, to watch the (British) soldiers by patrolling the streets all night." In addition, the "mechanics," also known as the Liberty Boys, sabotaged and stole British military equipment in Boston. Their security practices, however, were amateurish. 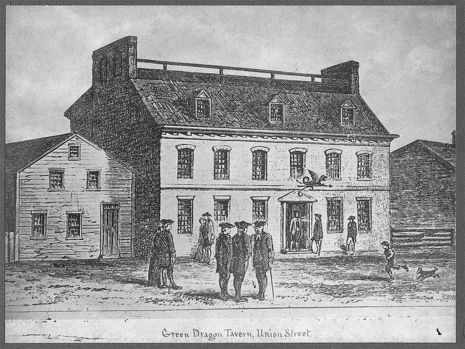 They met in the same place regularly (the Green Dragon Tavern), and one of their leaders (Dr. Benjamin Church) was a British agent. Through a number of their intelligence sources, the "mechanics" were able to see through the cover story the British had devised to mask their march on Lexington and Concord. 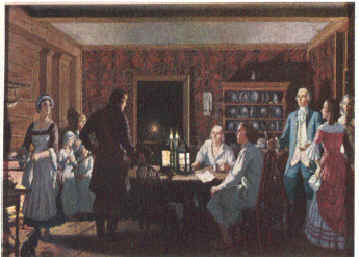 Dr. Joseph Warren, chairman of the Committee of Safety, charged Revere with the task of warning Samuel Adams and John Hancock at Lexington that they were the probable targets of the enemy operation. Revere arranged for the warning lanterns to be hung in Old North Church to alert patriot forces at Charlestown, and then set off on his famous ride. He completed his primary mission of notifying Adams and Hancock. Then Revere, along with Dr. Samuel Prescott and William Dawes, rode on to alert Concord, only to be apprehended by the British en route. Dawes got away, and Dr. Prescott managed to escape soon afterward and to alert the Patriots at Concord. Revere was interrogated and subsequently released, after which he returned to Lexington to warn Hancock and Adams of the proximity of British forces. Revere then turned to still another mission, retrieving from the local tavern a trunk belonging to Hancock and filled with incriminating papers. With John Lowell, Revere went to the tavern and, as he put it, during "a continual roar of Musquetry... we made off with the Trunk." Paul Revere had served as a courier prior to his famous "midnight ride," and continued to do so during the early years of the war. One of his earlier missions was perhaps as important as the Lexington ride. In December 1774, Revere rode to the Oyster River in New Hampshire with a report that the British, under General Gage, intended to seize Fort William and Mary. Armed with this intelligence, Major John Sullivan of the colonial militia led a force of four hundred men in an attack on the fort. The one hundred barrels of gunpowder taken in the raid were ultimately used by the Patriots to cover their retreat from Bunker Hill.